Perfectly set by the Ionian Sea, Costa Navarino is the prime destination in the Greek region of Messenia. Offering one of the most breathtaking and unspoiled landscapes in the Mediterranean, the seaside resort is driven by sustainability, and harbours a genuine desire to promote, protect and preserve the setting’s natural beauty and cultural heritage. Upholding the highest standards of social responsibility throughout all stages of its development – from construction to operation – Costa Navarino follows a meticulously planned environmental policy in order to conserve the region’s natural resources and improve the overall quality of living. 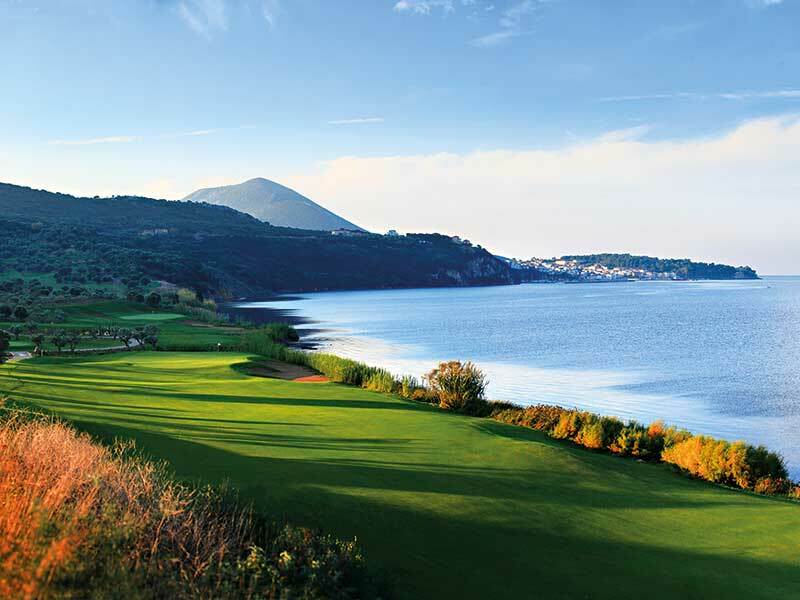 Costa Navarino’s two deluxe five-star hotels, the Romanos, a Luxury Collection Resort and the Westin Resort Costa Navarino, are both located in the Navarino Dunes, sitting among lush olive groves, indigenous trees, gently sloping hills and the sea. The Westin Resort Costa Navarino takes inspiration from Messenia’s traditional mansions, with low-rise clusters of natural stone creating a motif in perfect harmony with the pristine scenery that surrounds it. Each of its 445 rooms and suites – 131 of which offer individual infinity pools – benefits from a sea view or wonderful backdrop of the resort’s gardens, which can be enjoyed from a private balcony or terrace. The Romanos, meanwhile, has been recognised for its exquisite architecture, and houses 321 rooms, suites and villas of timeless elegance. Like the Westin Resort Costa Navarino, many of the rooms boast an individual infinity pool, designed to capture the Ionian sunset and create an inspiring environment of distinct luxury. Further, both properties offer a range of entertainment opportunities, with guests able to choose from a wide variety of active and leisurely pastimes. With two 18-hole signature golf courses, gyms fitted with indoor swimming pools and a number of outdoor sports and cultural activities available, visitors will never be short of something to do. Alternatively, for those wanting to relax, the hotels’ multi-award winning Anazoe Spa and thalassotherapy centre offers unique oleotherapy treatments. The Navarino Dunes also benefits from more than 20 superb dining venues, a number of upscale boutiques, and a world of authentic experiences just waiting to be discovered. During working hours, business guests can elevate their productivity by making use of the functional spaces provided by the House of Events. The Great Hall can accommodate up to 1,300 participants in theatre style, while a further 11 day-lit meeting rooms – ranging from 50sq m to 200sq m – provide a more intimate setting for smaller events. An expansive atrium is also available, with an outdoor space leading to the Agora – the resort’s authentic village centre. Exceptionally designed with outstanding facilities, this state-of-the-art and highly versatile convention centre extends over a total of 5,000sq m and can be directly accessed by a private connection from both hotels. Outside the office, guests can explore the wealth of natural beauty that surrounds the resort, with the Gialova Lagoon, the Polylimnio Waterfalls, Navarino Bay and Voidokilia Beach (which was ranked among the world’s best beaches by The Times) all within close proximity. Shaped by 4,500 years of fascinating history, Costa Navarino is home to three UNESCO World Heritage Sites, as well as collection of Mycenaean palaces, classical temples, Byzantine churches and medieval castles. And, with the untouched paradise approximately three hours from Athens International Airport and just 45km from Kalamata International Airport, companies from around the world can benefit from Costa Navarino’s idyllic business hub.